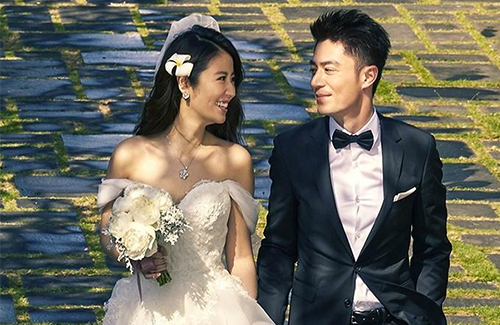 Though overseas and busy with with work, Wallace Huo’s (霍建華) heart is still at home. The Taiwanese actor, who was in Italy to film a commercial, had pictures of his daughter to keep him sane. Wallace said he has become a pro at changing diapers, but bathing Angel is still a challenge he has yet to conquer. @cuckoo It’s fixed now. Thanks! Yes. Please have a second child. He/she will be as cute as the first child! Ruby has scheduled the production of a 20 ep new drama some time in May this year. Baby production may have to wait until next year?